Westport has long ties with the Academy Awards. Over the years, dozens of Oscar-winning actors, producers, screenwriters and other industry machers have lived here. For decades too, movies have been set in Westport. Others were filmed here. We’re familiar with many: “The Man in the Gray Flannel Suit,” “Rally Round the Flag, Boys!” and “The Swimmer” are just 3 examples. In honor of tonight’s film industry gala, indefatigable “06880” reader/researcher Fred Cantor unearthed a lesser-known production that not only explored postwar suburban life, but was also set here. 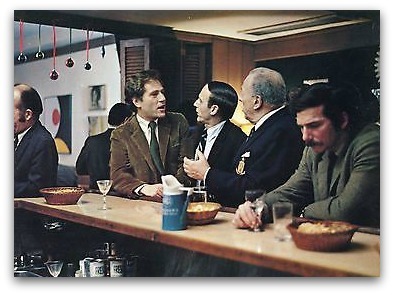 The film starred George Segal and Eva Marie Saint (a Westport Country Playhouse regular). Local residents Paul Newman and Joanne Woodward appeared as extras, while Westporter Diana Douglas also had a role. “Loving” was filmed in part at the Saugatuck train station, Greens Farms Elementary School, Main Street, and a private home on 27 Long Lots Road. It was not exactly a hit. received a reasonably warm critical reception and then disappeared all summer into some kind of distributorial limbo, turning up finally this week in neighborhood theaters. Somehow it deserved more attention than that. It’s not an earth-shaking film, but it is an amusing and intelligent comedy of manners, and George Segal is fun to watch. So if you’re bored tonight with all the fake I-can’t-believe-I-won-oh-thank-you! speeches, click on Netflix. 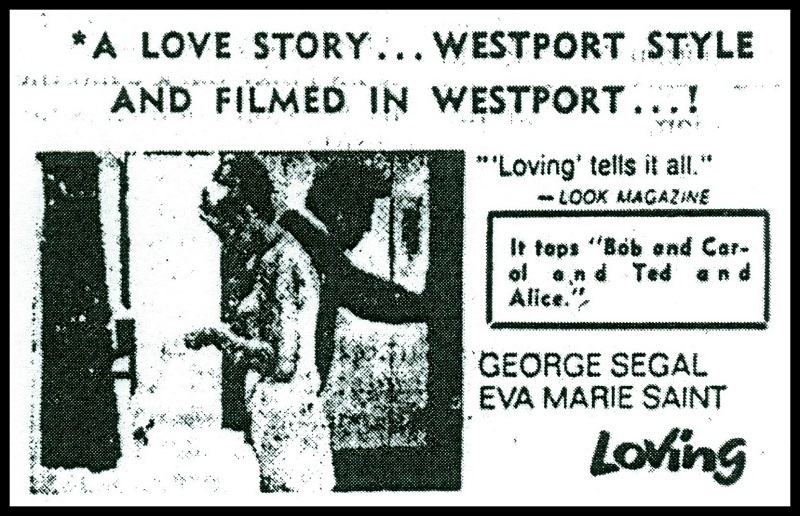 And enjoy a trip back to Westport’s movie-making past. 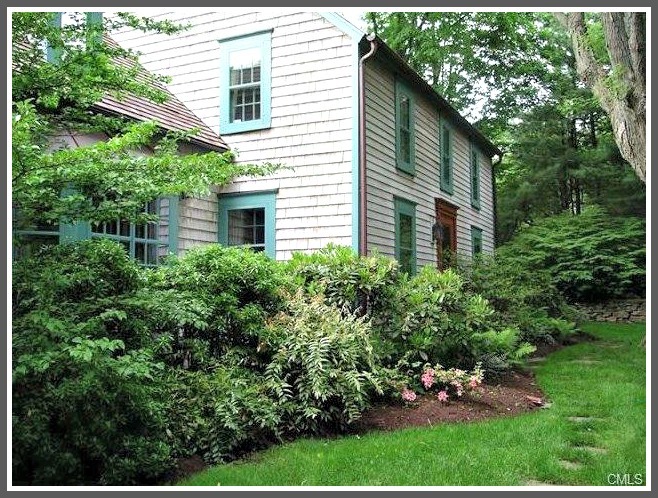 The house at 27 Long Lots Road, where scenes from “Loving” were shot. This entry was posted in Arts, Entertainment, Looking back, People and tagged " "Man in the Gray Flannel Suit, "Loving" movie 1970, Academy Awards, Fred Cantor, Rally 'Round the Flag Boys!. Bookmark the permalink. Hopefully, tonight’s theme is diversity and equal pay. Or is that too late? Think the original stepford wives movie had some westport scenes. Donald, it appears that he lived on Tanglewood Lane at that time. So, if filming took place in his studio, that would have been another Westport location they used. Thanks for the info.